I love this time of year as it is a time to slow down, reflect and refocus on what lies ahead. For the Chinese, the New Year is a time of great renewal. They devote the last few days of the old year to intense preparation. They clean their homes in a belief that, along with the dirt and debris around their homes, they can sweep away the mistakes and misfortunes of the past. They hang protective ornaments in their homes to welcome the good fortunes that the New Year brings. Many of us perform similar rituals and some of us take this opportunity to make significant changes in our lives. When I return to my corporate work in early February I am 100% guaranteed to witness the “Empty Chair Effect” in action with some of my client organisations. As a matter of fact I have been witnessing this for many years now, and just over fifteen years ago I was one of those affected. 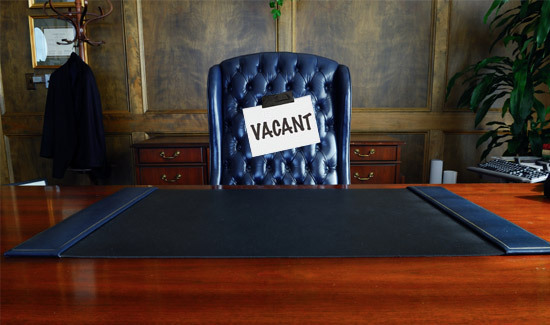 What I mean by the “Empty Chair Effect”, is when an employee do not return to their position or organisation to pursue their own goals and ambitions, (usually after this holiday period when they had time to think and reflect) and there is literally an empty chair in the office or at the boardroom table. It usually occurs with no forewarning. A typical response I get when I ask about the person who occupied the “empty chair”, is that he or she is no longer with us. This is what I did when I left a senior position with a high profile organisation. I reengineered the way a I work, live and play. Fifteen + years later I am still as motivated as when I started my business. Just a week ago I received an email from one of my leadership program participants thanking me for for the course as it has provided him with an insight into what he would like to do going forward. He has now become a contractor to his organisation and started his own company. There is an empty chair now in his organisation. So, how is your renewal going for 2016? Cleaned up, refocused and ready? If not, and your are interested in reengineering your career, or your current position, feel free to give me a call for a no obligation conversation. I have assisted many people over the years in making successful transitions in their careers and lives.